We like to browse through our archives for inspiration. This time we turned to the pages of the October 2000 issue. 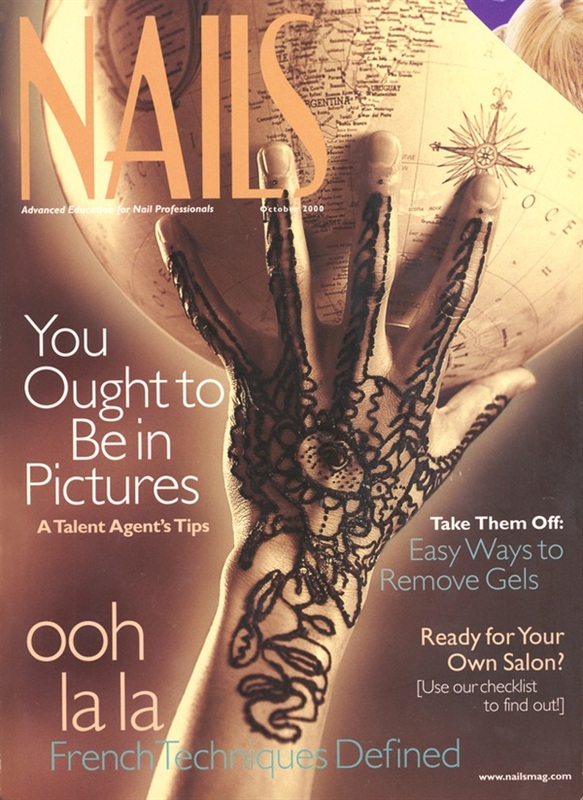 Here’s a short list of what was hot in NAILS almost 15 years ago. Notice anything familiar? We like tattoos like we like our polish, noncommittal. Just look at the cover featuring temporary tribal art work by Maisie Dunbar. For tips in incorporating henna into your services, check this out. Not much has changed with Jessica Cosmetics and that’s a good thing. This cute and feminine illustration from 2000 shows off the brand’s tried and true identity—they keep things classy. Tres chic manis reigned supreme in a decade when Justin Timberlake’s frosted tips were as cool as a modern French. This trend is still hot now, so to learn how to invert the smile line, get some tips here.